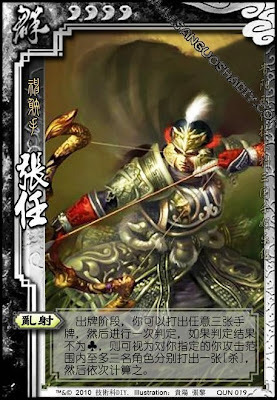 Zhang Ren can play any three hand cards to perform a judgment. If it is not a club, it is treated as if he attacks up to three players within his attack range. Zhang Ren must select different players. He cannot attack the same player three times.